Welcome to Raine's Tavern and thank you for shopping my Decoys, Folk Art, Antiques and Collectibles. Selling and buying quality decoys from the Chesapeake Bay, Chincoteague Virginia , Maryland and Virginia's Eastern Shore. Makers such as: Mitchell, Tyler, Ward, Hancock, Hudson, McNair, Daisey, Cobb, Gibson and others. Raines Tavern better known as “Mclean House” was built in 1848 by John Raine and his son George. The tavern was to serve meals and lodging for travelers between Richmond and Lynchburg in the newly formed Appomattox County, Virginia. John Raine was killed in a dual in April 1855. George Raine was killed in 1859 by his son-in-law. 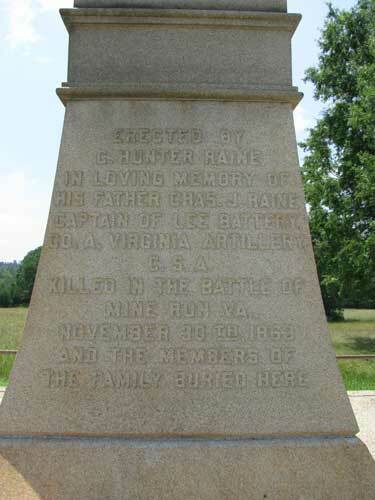 The youngest of Raine’s sons, was killed in the Battle of Chancellorsville in 1863. He served under General Stonewall Jackson as a corporal of an artillery battery. For more information please refer to William Marvel’s book, A Place Called Appomattox , The University of North Carolina Press.